So an old childhood friend contacted me yesterday to find out my ‘secret’ for making leprechaun feet. I’m am completely baffled. My secret? What? 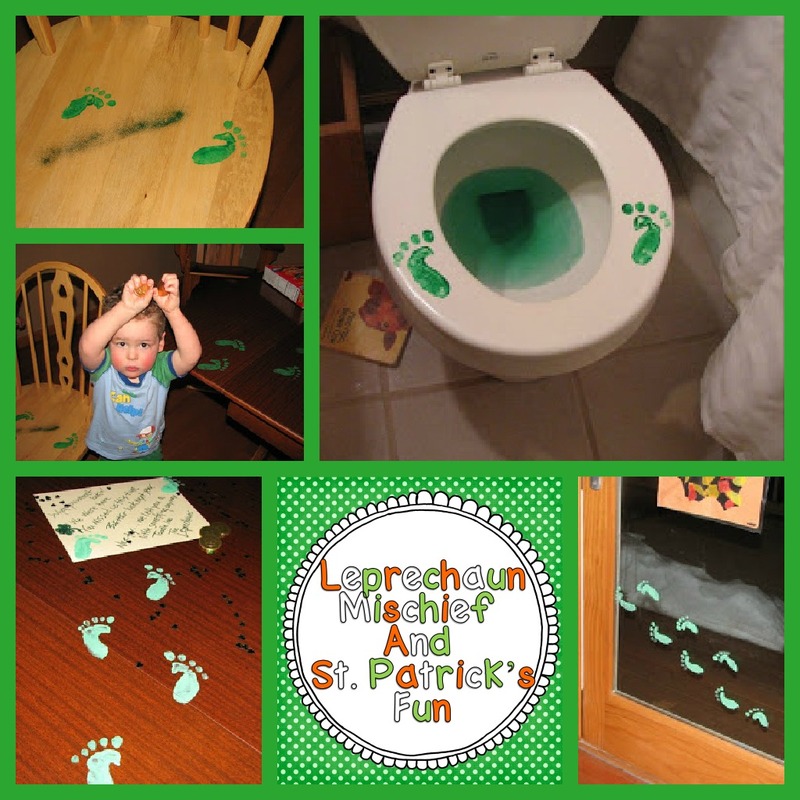 Doesn’t she believe that leprechauns made those little footie prints? 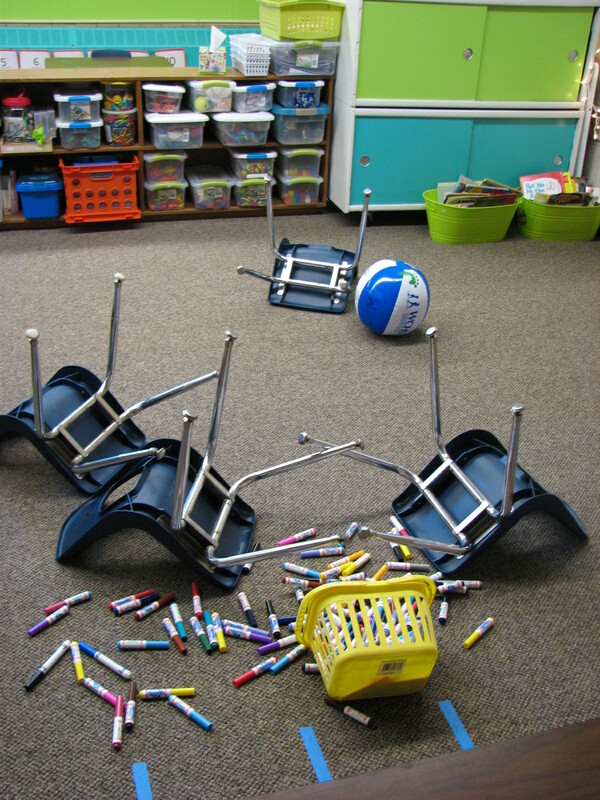 Of course, she had seen my pictures of the my classroom and home where the leprechauns visted last year. You can imagine with a name like McGuire and three small boys with names like MaGill, McCoy and MacKale that the leprechauns are particularly fond of us. They are! and pull all kinds of shenanigans. We try to catch them. My boys have even claimed to have seen the little men, but, alas, we’ve never caught one. The little fellas do feel some remorse because they always leave us a little something for the trouble of cleaning up after them. So I guess it’s not all bad. All this thinking about leprechaun feet (drop me a comment if you want to know how it’s done) has me wondering what those little men in green will pull this year. I thought I would send a little lucky freebie your way in hopes that the leprechauns will be kinder to me this year. 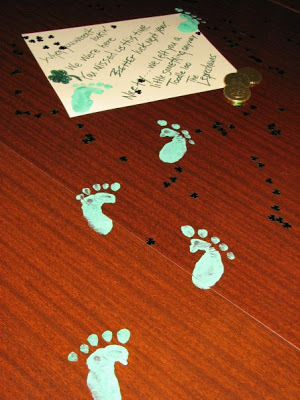 As an added note, if you check out my blog post from 3/7/12 you can find out how to make those little leprechaun feet. Enjoy! 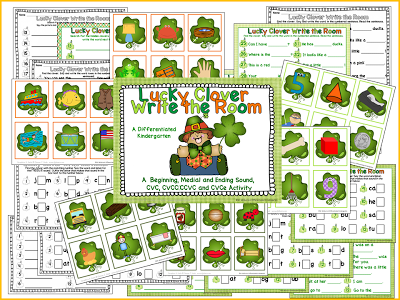 If you’re looking for St.Patrick’s fun for your class you can check this Write the Room activity I have. 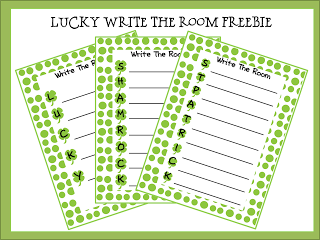 Or here’s little write the room activity to get YOU thinking about St. Patrick’s! Just click on the picture and enjoy! 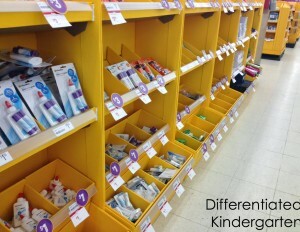 It’s naturally differentiated and . . . a freebie! Linking up for some beach/sea fun . . . and a little freebie. So fun!! Our kindergarten classes do this too and the kids go WILD about it! I hate that this year St. P’s is on Saturday. I think I might celebrate on Monday. Have fun at your celebration. Thanks Vicki! 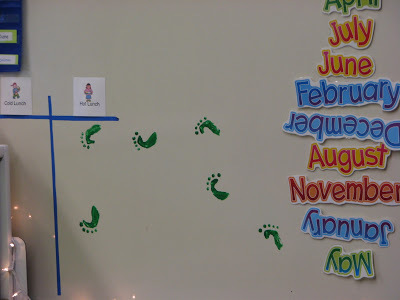 Last year when I did feet it was my student teacher’s first day in class. I think she knew she was in for wild ride! I’m on my way over to follow you. Thanks for finding me. It really IS alot of fun. My own kids are WILD about St. Patrick’s Day. That is flippin’ hilarious! I love the toilet idea  I just gave you an award. Come check it out on Sunday! Thanks Adrianne. Can’t wait ’til Sunday! Thanks a ton. I really appreciate the kind words. Thank you thank you thank you sooooooo much Jeannie. I love that you are so willing to share. 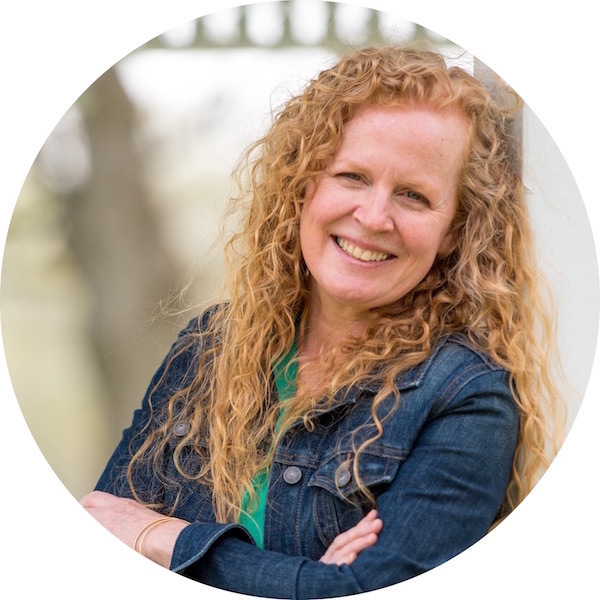 Hello, from your newest follower  Love your blog! Can’t wait to see what else you’ve got planned for *MARCH*! Happy weekend! Thanks so much Amanda. That means alot to me since I’m such a newb blogger. I have nominated you blog for an award! Hop on over to my blog and check it out! Oh my goodness! That is adorable! I know the kids would think it’s an absolute hoot! I’m your newest follower! So glad to have found your blog! I gave you an award. Come check it out! I am your newest follower. I found you through Kindergarten Lifestyle. I LOVE the leprechaun mischief! Can’t wait to see your other ideas. Newest follower….. My kids love the leprechauns. Last year we made traps at school. This year they’ll make them at home and bring them in. Thanks for all the awesome ideas! Oh my goodness, I need to know how you make those feet! The leprechauns that visit my classroom leave behind shamrock stickers and green glitter… my Pre-K kids will just die if he leaves FOOTPRINTS! Ok here it is. Put your hand in the shape of a fist. Now paint only the pinky side of your fist green. Stamp it down and use your pinky tips to make the little toe marks above. 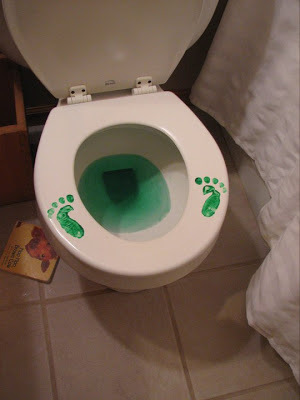 Perfect Leprechaun Feet! I need to know how to make the footprints!! So cute! But how do you clean it up? What paint like stuff did you use for the feet prints? Too cute, my kids are going to LOVE it. I just use regular tempera paint and I add a little dish soap in to make clean up easier. Just use a diaper wipe and it cleans right up. I would love to do this for my boys. 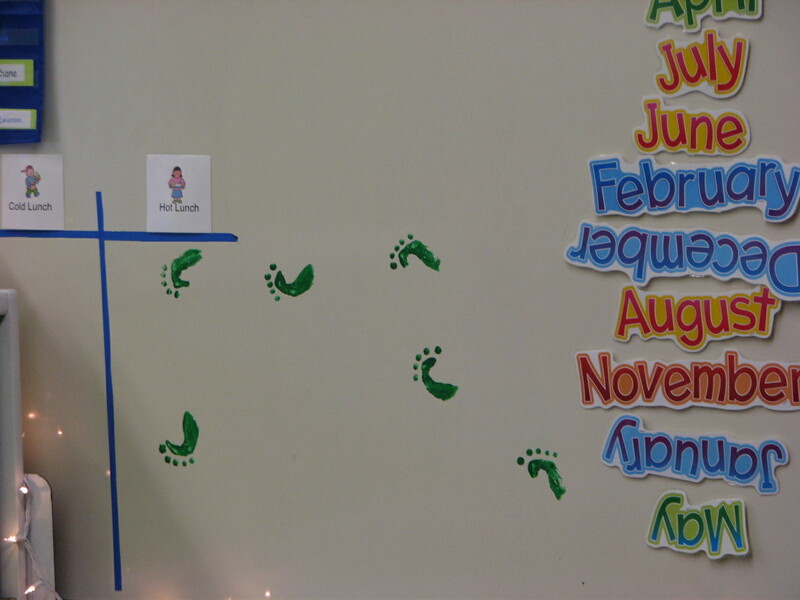 Please let me know what you use to make the foot prints! Check out my reply below. Your boys will go crazy. This is such an adorable idea. 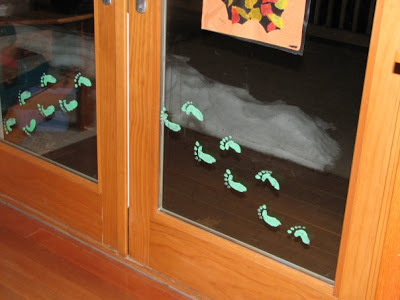 I would love to know how to make the footprints for my daughter to find….. Check out my reply below. Your daughter will love it. Such a great idea please let me know how you do this. I have an 18 month old and am looking forward to seeing her face light up when the house is decorated in green. 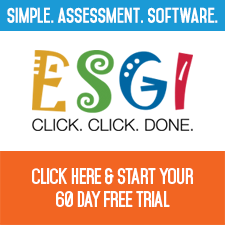 Looking forward to your other posts throughout the year. Check out my Reply below to get the details and how-tos. I must know how you make the footprints!!! My daughter will go NUTS!! Ok, so you take your hand and make a fist. On the pinky side of your fist, piant the pinky edge of your fist all the way to the fatty part of your palm. Press it on the surface you are looking to leave a footprint on. Now use your pinkies to dot the toes from big to small. To make the matching foot, do the same thing but with the other hand. I tend to do a bunch of right feet then go back and make the matching left feet. 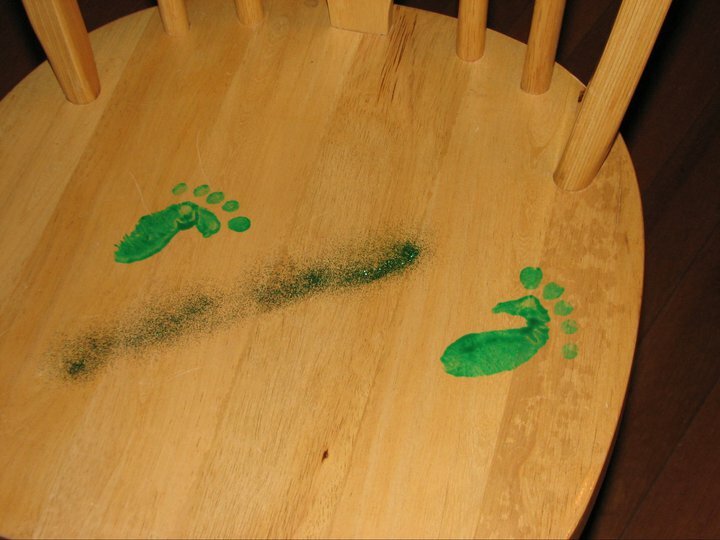 Use tempera paint with a little dish soap and clean up with a diaper wipe. Have fun. This is adorable! Can’t wait to do this for my boys this year! I’m your newest follower! I have an idea but how do you do it?? Love your cute ideas and your boys are TOO.CUte!!! Love it! 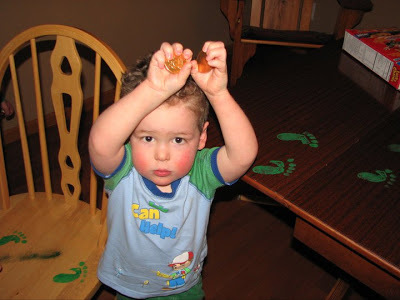 I have had some crazy leprechaun things happening at my home as well! Underwear Hung all over my house, cereal switched from one box to another box. Milk magically was changed green, my Boys were written on while sleeping, they had mustaches and smiling faces, another day they were switched from one bed to another, orange juice put in milk container milk put in oj container, a doll was taped to a chair with it’s mouth covered, it has been so fun!!! Can’t find the freebie. Is it gone? I would love to know how, please. Both of my kids are March born and were disappointed when the leprechauns don’t cause mischief. I know that they will continue this fun onto their kids as well, especially the green toilet and gold coins that they leave in their haste not to get caught doing bad things. By the way, my March born McMillins are 19 and 11! Hi! This is great and I would love to know how you do it! I hope you still check this page…I just found it via a link on Pinterest! I can make the feet (fist! ), but what do you use to make the green paint? I know it has to be water soluble…What’s the secret??!! Thank you. 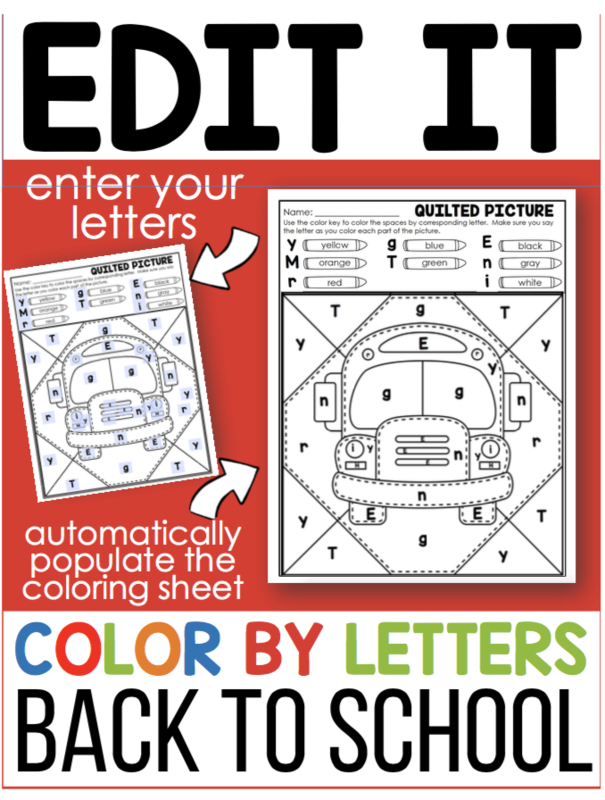 Back To School Panic Time and Something That Could Help Your Own BTS Planning.